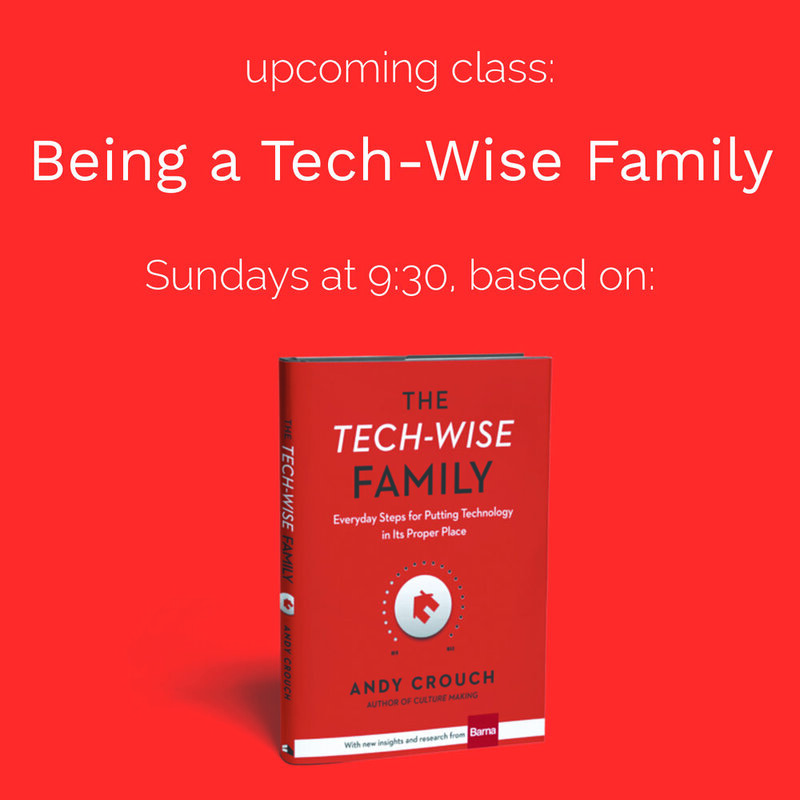 New Class, "Being a Tech-Wise Family"
Making wise choices about technology in our families is more than just using Internet filters and determining screen time limits for our children. It's about developing wisdom, character, and courage in the way we use digital media rather than accepting technology's promises of ease, instant gratification, and the world's knowledge at our fingertips. And it's definitely not just about the kids.